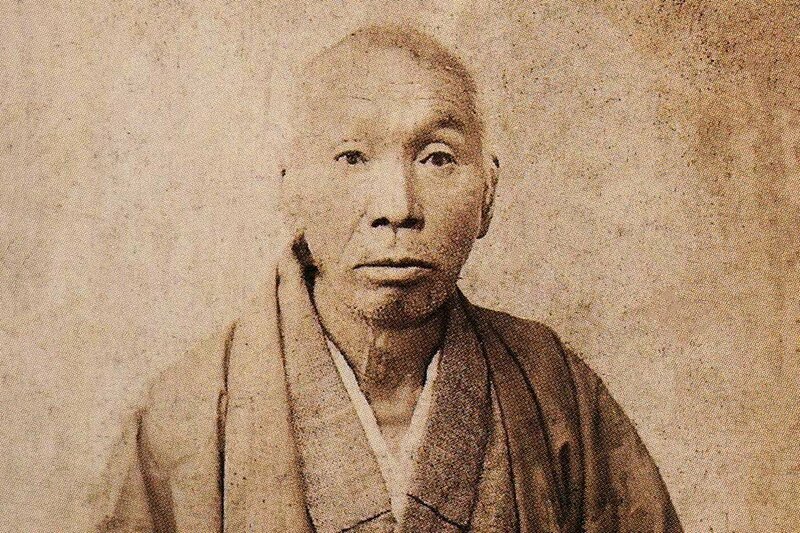 In 1877, founder Shigezo Takeuchi, the fourth son of a farming family in the Manai District, opened a small inn for devotees who came to Izumo Taisha. 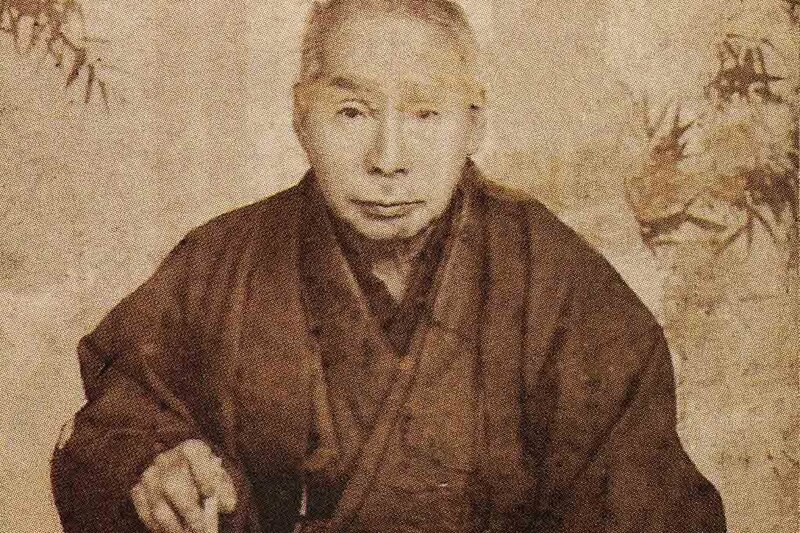 This marked the beginning of Takenoya.Since then it has been operated as a family business with the second and third generations continuing the traditions of the founder. The present main wooden building dates to 1929. 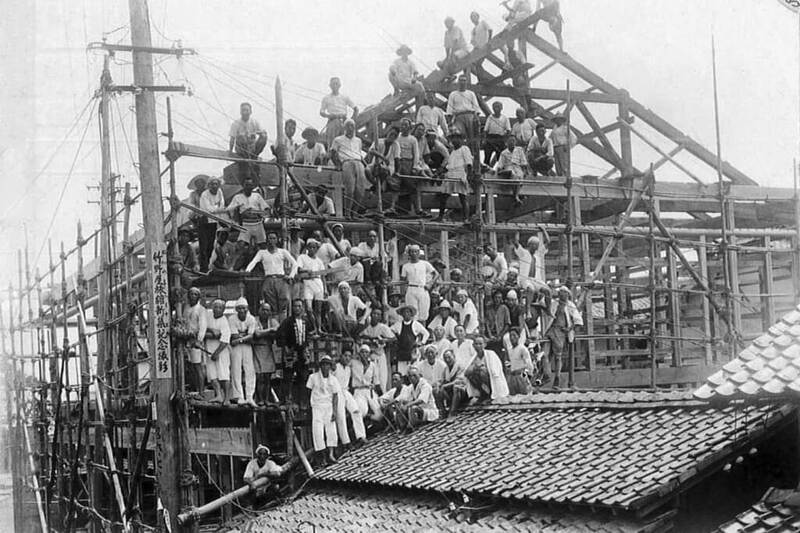 From the Taisho era of the rail age to the middle of the Showa era, Takenoya experienced an increase in guests traveling in groups such as school excursions. 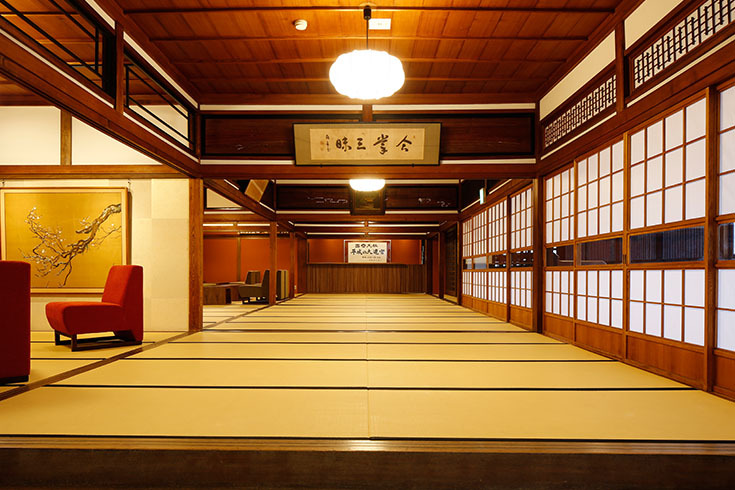 During the war years the ryokan became famous nationwide for extending accommodations to children evacuated during the war.The 4th generation owner, who from 1971 also served nearly 15 years as Mayor of Taisha, extended the new wing to the west side of the property. During those years, Takenoya had the privilege to welcome members of the Japanese Imperial Family when they visited Izumo-Taisha Grand Shrine. 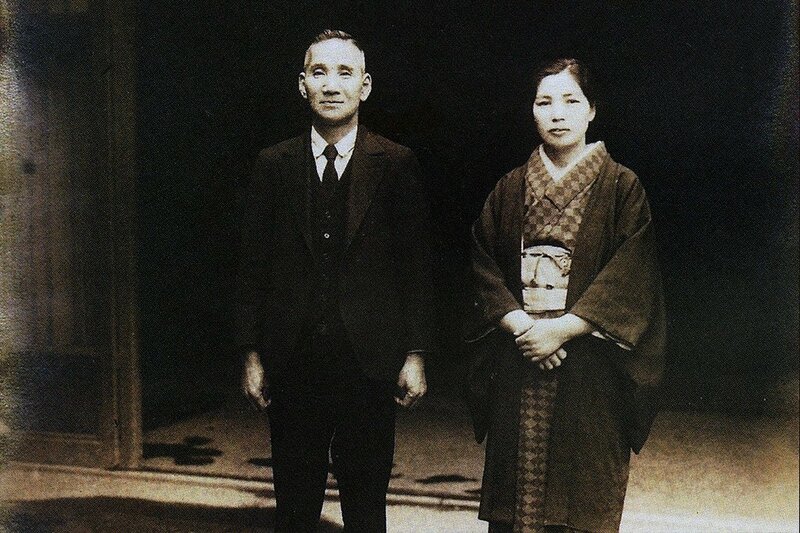 Additionally, singer and songwriter Mariya Takeuchi is the daughter of the 4th generation owner.In the Heisei era of the fifth-generation owner, Izumo-Taisha Grand Shrine saw an increase in the number of couples choosing to hold wedding ceremonies there. 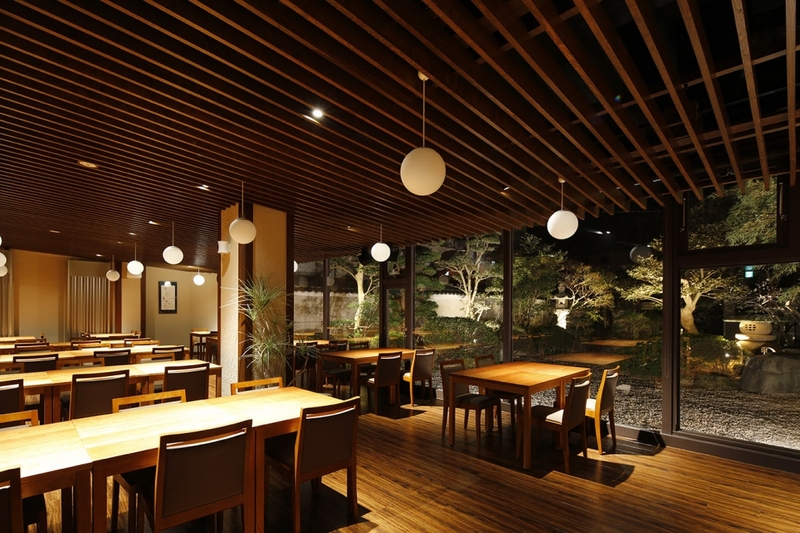 Takenoya responded with its own unique banquet-style wedding receptions which have been well received by couples all over the country.In the fall of 2016, Takenoya completed the latest renovation adorned by a new artistic rendering of the name contributed by leading Japanese calligrapher Hakko Ishitobi.In the Autumn of 2017 Takenoya proudly celebrated its 140th anniversary and the hotel now passes to the 6th generation of the family. 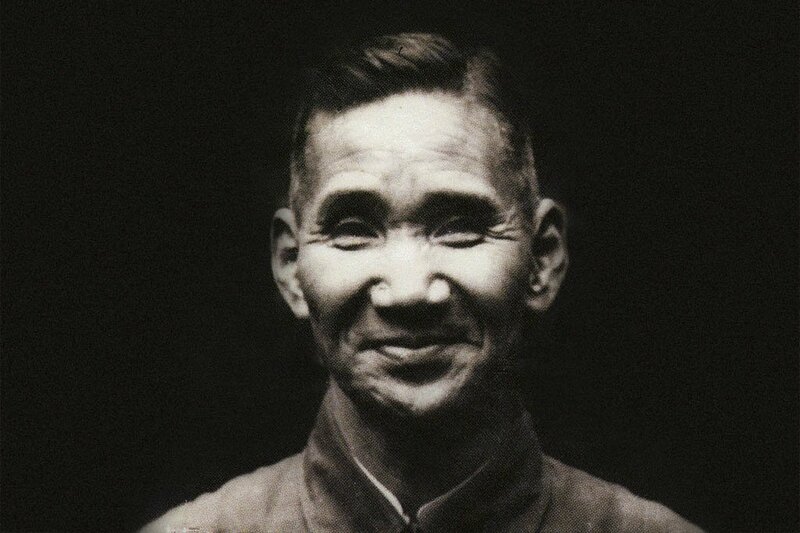 As “The Gateway to the Kingdom of the Gods”, we shall continue to nurture the hospitality traditions we inherited from the first generation and strive to be a beloved ryokan for all guests into the future. We humbly thank you for your continued patronage. We await your arrival at our timeless entrance. Be sure to take your own commemorative photo here. This room has hosted many prominent people including members of the Imperial family. It continues to retain its grace over time. 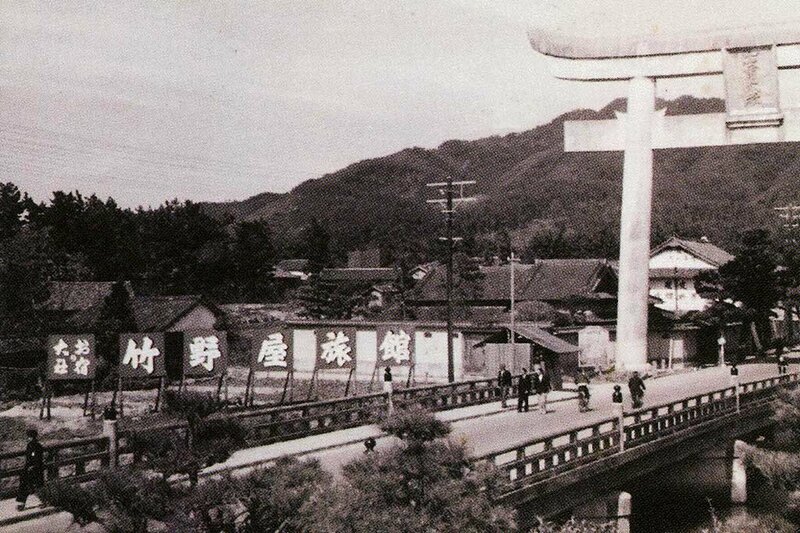 In years past, a large number of worshippers came through the Torii gate from Taisha Station. 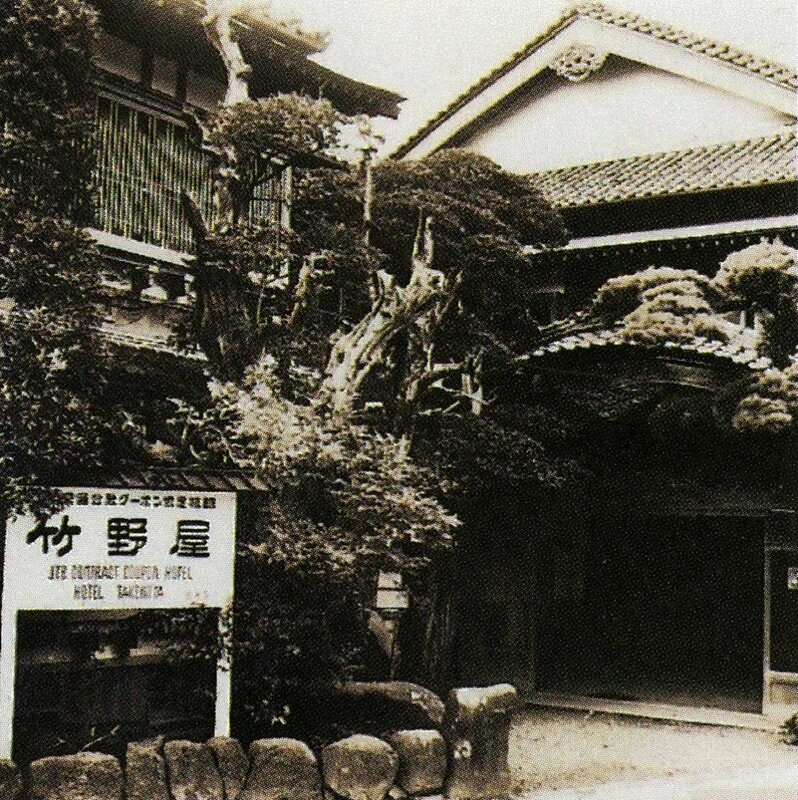 The large sign for Takenoya Ryokan is on the left. The main building was built from hand-selected wood by the finest craftsmen and continues to cast its peaceful ambiance today. Our lobby is the face of the ryokan. 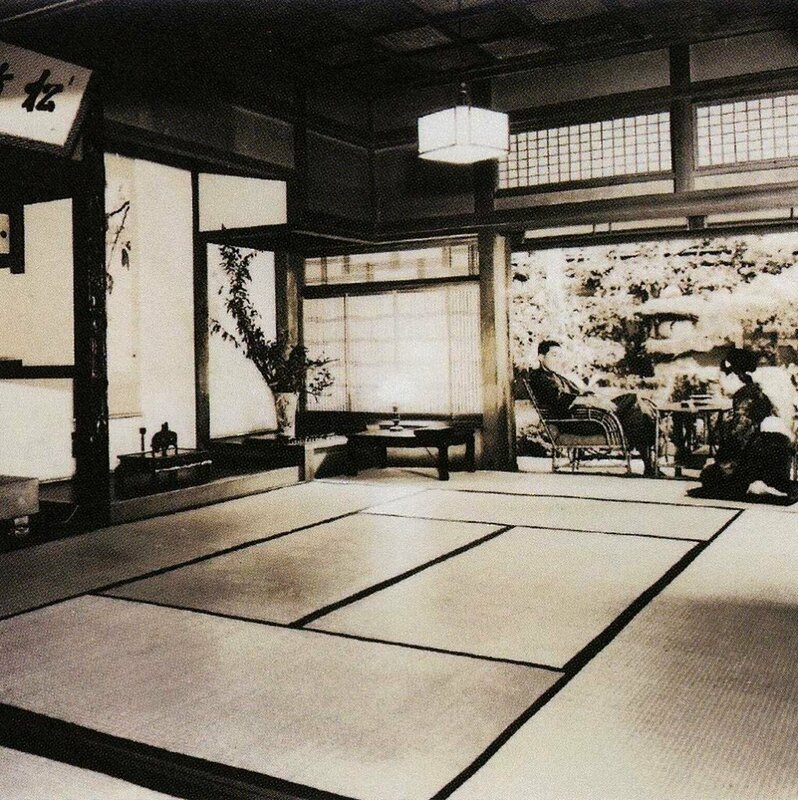 With its large tatami floor, it has maintained its same beautiful ambiance from the time of its construction in 1929. We always look forward to welcoming you. There are several courtyards within the premises. 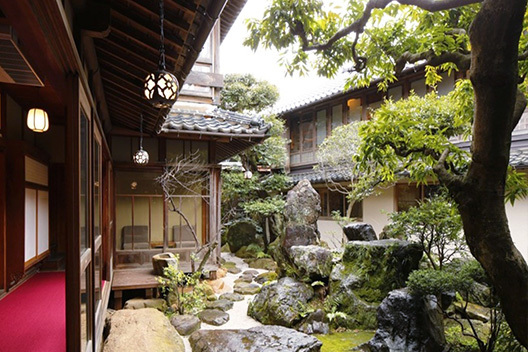 The garden adjacent to the lobby is reminiscent of the Showa Era and is dotted with a number of stones handpicked by the third-generation owner. Guests may select the seating time of their choice. 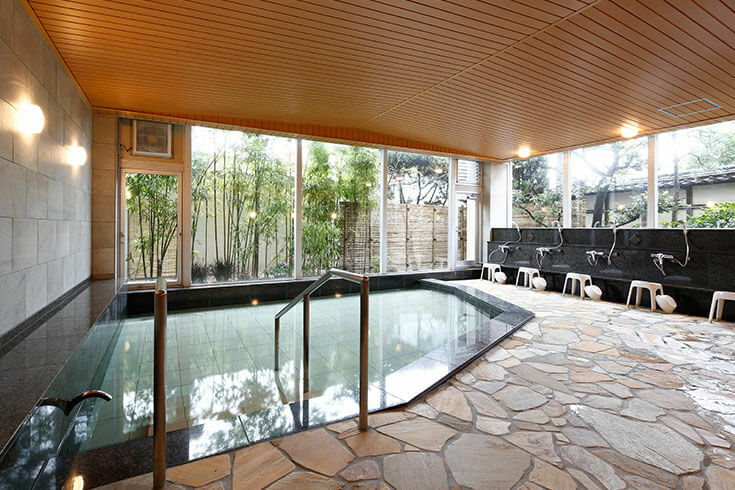 The ryokan boasts a large, public bath where we invite you to relax from your travels. 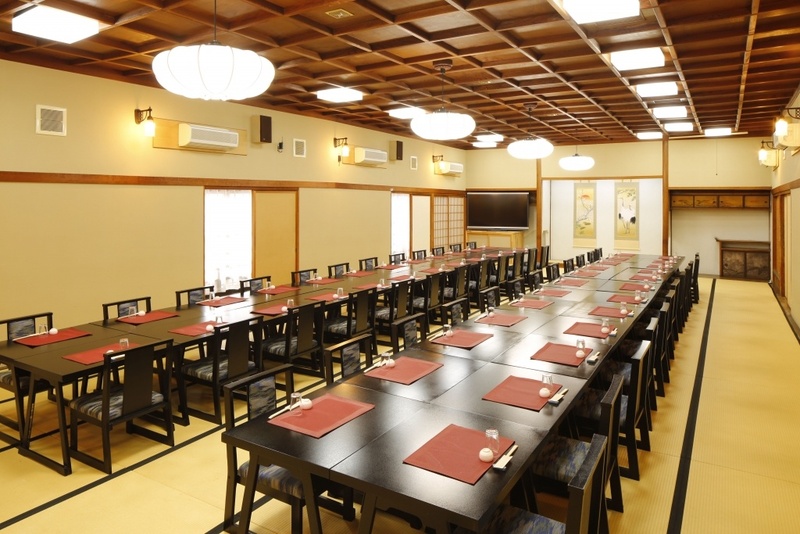 This banquet room is suitable for small groups and can be adapted to meet the needs of your occasion. 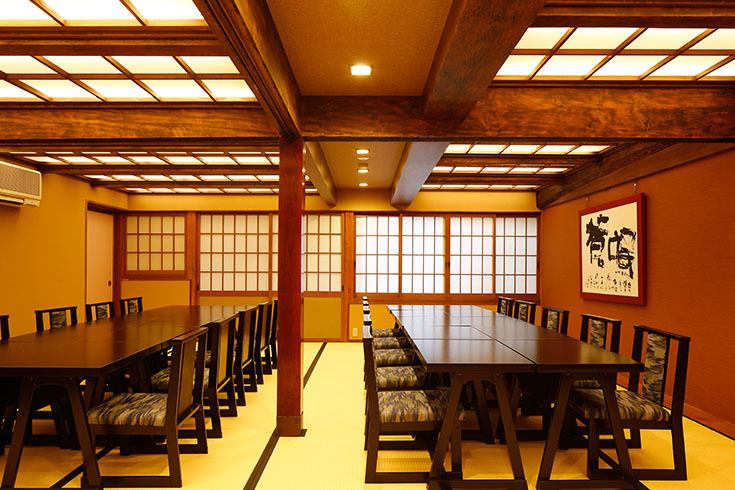 This banquet room is for larger groups and can also be arranged to satisfy the needs of your occasion.